* Divisional agency: Division of the country, over which the agency has usual operational jurisdiction. The Texas Rangers were unofficially created by Stephen F. Austin in a call-to-arms written in 1823 and were first headed by Captain Morris. After a decade, on August 10, 1835, Daniel Parker introduced a resolution to the Permanent Council creating a body of rangers to protect the border. The unit was dissolved by the federal authorities during the post–Civil War Reconstruction Era, but was quickly reformed upon the reinstitution of home government. Since 1935, the organization has been a division of the Texas Department of Public Safety; it fulfills the role of Texas' state bureau of investigation. As of 2014, there are 150 commissioned members of the Ranger force. The Rangers have taken part in many of the most important events of Texas history, such as stopping the assassination of Presidents William Howard Taft and Porfirio Díaz in El Paso, Texas, and in some of the best-known criminal cases in the history of the Old West, such as those of gunfighter John Wesley Hardin, bank robber Sam Bass, and outlaws Bonnie and Clyde. Scores of books have been written about the Rangers, from well-researched works of nonfiction to pulp novels and other such fiction, making the Rangers significant participants in the mythology of the Wild West. The Lone Ranger, perhaps the best-known example of a Texas Ranger-derived fictional character, draws his primary alias both from having once been a Texas Ranger himself and from being the only surviving member of a posse of six Texas Rangers whose other five members (including his own older brother, a Texas Rangers captain) were killed in a massacre at Bryant's Gap. During their long history, a distinct Ranger tradition has evolved; their cultural significance to Texians and later Texans is such that they are legally protected against disbandment. There is a museum dedicated to the Texas Rangers in Waco, Texas. 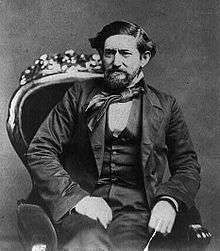 John Jackson Tumlinson Sr., the first alcalde of the Colorado district, is considered by many Texas Ranger historians to be the first Texas Ranger killed in the line of duty. One of his most urgent issues was protection of settlers from theft and murder by marauders. On his way to San Antonio, in 1823, to discuss the issue with the governor, Tumlinson was killed by Native Americans. His travelling companion, a Mr. Newman, escaped. Tumlinson's body was never found. Many Rangers enlisted to fight for the Confederacy following the secession of Texas from the United States in 1861 during the Civil War. In 1870, during Reconstruction, the Rangers were briefly replaced by a Union-controlled version called the Texas State Police, disbanded only three years later. The state election of 1873 saw newly elected Governor Richard Coke and the state legislature recommission the Rangers. During these times, many of the Rangers' myths were born, such as their success in capturing or killing notorious criminals and desperados (including bank robber Sam Bass and gunfighter John Wesley Hardin), their involvement in the Mason County War, the Horrell-Higgins Feud, and their decisive role in the defeat of the Comanche, Kiowa and Apache peoples. The Apache "dreaded the Texas Rangers...whose guns were always loaded and whose aim was unerring; they slept in the saddle and ate while they rode, or done without...when they took up our trail they followed it determinedly and doggedly day and night." Also during these years, the Rangers suffered the only defeat in their history when they surrendered at the Salinero Revolt in 1877. Despite the fame of their deeds, the conduct of the Rangers during this period was questionable. In particular, Leander H. McNelly and his men used ruthless methods that often rivaled the brutality of their opponents, such as taking part in summary executions and confessions induced by torture and intimidation. The Rangers next saw serious action at the summit of William Howard Taft and President Porfirio Díaz in 1909, preventing an assassination of both presidents, and during the subsequent Mexican Revolution. The breakdown of law and order on the Mexican side of the border, coupled with the lack of federal military forces, meant the Rangers were once again called upon to restore and maintain law and order, by any necessary means. However, the situation necessitated the appointment of hundreds of new special Rangers by the state, which neglected to carefully screen aspiring members. The Rangers were responsible for several incidents, ending in the January 13, 1918, massacre of the male population (15 Mexican men and boys ranging in age from 16 to 72 years) of the tiny community of Porvenir, Texas, on the Mexican border in western Presidio County. Before the decade was over, thousands of lives were lost, Texans and Mexicans alike. In January 1919, an investigation by the Texas Legislature found that from 300 to 5,000 people, mostly of Hispanic descent, had been killed by Rangers from 1910 to 1919, and that members of the Rangers had been involved in many acts of brutality and injustice. The Rangers were reformed by a resolution of the Legislature in 1919, which saw the special Ranger groups disbanded and a complaints system instituted. The Great Depression forced both the federal and state governments to cut down on personnel and funding of their organizations, and the number of commissioned officers was reduced to 45, with the only means of transportation afforded to Rangers being free railroad passes or using their personal horses. The agency was again damaged after supporting Governor Ross Sterling in his re-election campaign — but after his opponent Miriam Amanda "Ma" Ferguson won, she proceeded to discharge all serving Rangers in 1933. 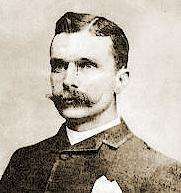 American historian Andrew Graybill has argued that the Texas Rangers resemble the Royal Canadian Mounted Police in many ways. He argues that each organization protected the established order by confining and removing Indians, by tightly controlling the mixed blood peoples (the African Americans in Texas, and the Métis in Canada), assisted the large-scale ranchers against the small-scale ranchers and farmers who fenced the land, and broke the power of labor unions that tried to organize the workers of industrial corporations. A famous phrase associated with the Rangers is One Riot, One Ranger. It is somewhat apocryphal in that there was never actually a riot; rather, the phrase was coined by Ranger Captain William "Bill" McDonald, who was sent to Dallas in 1896 to prevent the illegal heavyweight prize fight between Pete Maher and Bob Fitzsimmons that had been organized by Dan Stuart and patronized by the eccentric "Hanging Judge" Roy Bean of Langtry, Texas. According to the story, McDonald's train was met by the mayor, who asked the single Ranger where the other lawmen were. McDonald is said to have replied: "Hell! Ain't I enough? There's only one prize-fight!" The Texas Rangers have assisted in many high-profile cases throughout the years. Most of them had a short-lived repercussion, while others have received wide coverage by the press and writers alike. 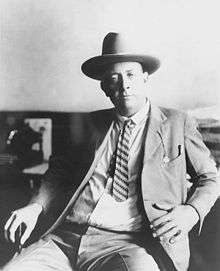 However, there are some cases that are deeply entrenched in the Rangers' lore, such as those of outlaw John Wesley Hardin, bank robber Sam Bass, and Bonnie and Clyde. In 1878, Sam Bass and his gang, who had perpetrated a series of bank and stagecoach robberies beginning in 1877, held up two stagecoaches and four trains within 25 miles (40 km) of Dallas. The gang quickly found themselves the object of pursuit across North Texas by a special company of Texas Rangers headed by Captain Junius "June" Peak. Bass was able to elude the Rangers until a member of his party, Jim Murphy, turned informer, cut a deal to save himself, and led the law to the gang. As Bass's band rode south, Murphy wrote to Major John B. Jones, commander of the Frontier Battalion of Texas Rangers. After Armstrong, Colt pistol in hand, boarded a train that Hardin and four companions were on, the outlaw shouted, "Texas, by God!" and drew his own pistol. When it was over, one of his gang members was killed, and his three surviving friends were staring at Armstrong’s pistol. Hardin had been knocked unconscious. Armstrong's hat had been pierced by a bullet, but he was uninjured. Hardin was tried for murder, convicted, and sentenced to 25 years in prison. Seventeen years later, Hardin was pardoned by Governor Jim Hogg and released from prison on March 16, 1894. He moved to El Paso, where he began practicing law. 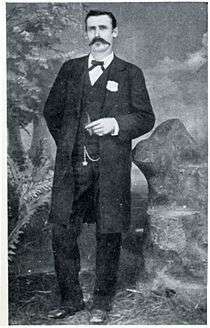 On August 19, 1895, he was murdered during a poker game at the Acme Saloon over a personal disagreement. In 1909, Private C.R. Moore of Company A, "performed one of the most important feats in the history of the Texas Rangers". William Howard Taft and Porfirio Díaz planned a summit in El Paso, Texas, and Ciudad Juárez, Mexico, a historic first meeting between a U.S. president and a Mexican president and the first time an American president would cross the border into Mexico. But tensions rose on both sides of the border, including threats of assassination, so the Texas Rangers, 4,000 U.S. and Mexican troops, U.S. Secret Service agents and U.S. marshals were all called in to provide security. 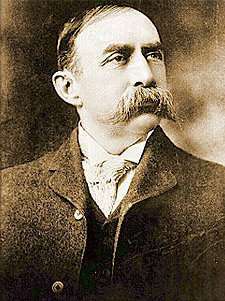 Frederick Russell Burnham, the celebrated scout, was put in charge of a 250-person private security detail hired by John Hays Hammond, a nephew of Texas Ranger John Coffee Hays, who in addition to owning large investments in Mexico was a close friend of Taft from Yale and a U.S. Vice-Presidential candidate in 1908. On October 16, the day of the summit, Burnham and Private C.R. Moore discovered a man holding a concealed palm pistol standing at the El Paso Chamber of Commerce building along the procession route. Burnham and Moore captured, disarmed, and arrested the assassin within only a few feet of Taft and Díaz. The Bandit War, a small but major campaign during the Border War, was fought in 1910-1915 in Texas. The conflict was a series of violent raids conducted by Mexican revolutionaries in the American settlements of Tamaulipas, Coahuila and Chihuahua. The Texas Rangers became the primary fighting force and protection of the Texans during the operations against the rebels. The Mexican faction's incursion in the territory were carried out by the Seditionistas and Carrancistas, led by major political leaders such as Basilio Ramos and Luis de la Rosca. However, the Seditionistas were never able to launch a full-scale invasion of the United States so they resorted to conducting small raids into Texas. Much of the fighting involved the Texas Ranger Division though the United States Army also engaged in operations against the rebels. 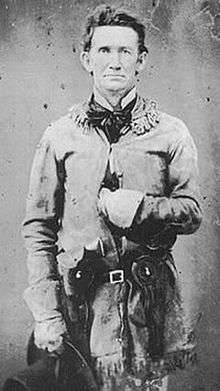 The Texas Rangers were led by Captain Harry Ransom on the orders of the Governor of Texas, James E. Ferguson. The war took the lives of over 300 Mexican invaders and an unknown number of civilian casualties. The Texas Rangers' internal organization still maintains the basic outlines that were set in 1935. The agency is divided into seven companies: six District Companies lettered from "A" to "F", and Headquarters Company "H". The number of personnel is set by the Texas Legislature; as of 2014, the Texas Rangers number 150 commissioned officers, one forensic artist, one fiscal analyst and 24 civilian support personnel. The Legislature has also made a provision for the temporary commissioned appointment of up to 300 Special Rangers for use in investigative or emergency situations. The statewide headquarters of the Texas Rangers is located in Austin at the Texas DPS headquarters. As of 1 October 2014, the Chief of the Texas Rangers is Assistant Director of DPS Randall Prince. Houston is the headquarters for Company A, commanded by Major Jason Taylor. Garland is the headquarters for Company B, commanded by Major Grover Huff. Lubbock is the headquarters for Company C, commanded by Major Todd Snyder. Weslaco is the headquarters for Company D, commanded by Major Brian Burzynski. El Paso is the headquarters for Company E, commanded by Major Crayton McGee. Waco is the headquarters for Company F, commanded by Major Chance Collins. Austin is the home of Division Headquarters, commanded by Chief Randall Prince. The Special Operations Group commanded by Major J.D. Robertson include Special Weapons and Tactics Team (SWAT), Bomb Squad, Ranger Reconnaissance Team, Special Response Teams (SRT), Crisis Negotiation Teams (CNT), and Border Security Operations Center (BSOC) - Joint Operations and Intelligence Centers (JOIC). Specialized Programs include the Unsolved Crimes Investigation Program and Public Corruption Unit. To carry out their horseback missions, Rangers adapted tack and personal gear to fit their needs. Until the beginning of the 20th century, the greatest influence was from the vaqueros (Mexican cowboys). 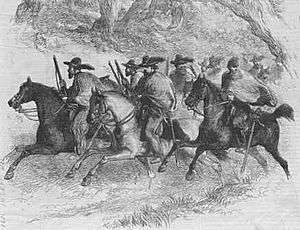 Saddles, spurs, ropes and vests used by the Rangers were all fashioned after those of the vaqueros. Most Rangers also preferred to wear broader-brimmed sombreros as opposed to cowboy hats, and they favored square-cut, knee-high boots with a high heel and pointed toes, in a more Spanish style. Both groups carried their guns the same way, with the holsters positioned high around their hips instead of low on the thigh. This placement made it easier to draw and shoot while riding a horse. The wearing of badges became more common in the late 1800s. Historians have put forth several reasons for the lack of the regular use of a badge; among them, some Rangers felt a shiny badge was a tempting target. Other historians have speculated there was no real need to show a badge to a hostile Indian or outlaw. Additionally, from a historical viewpoint, a Ranger's pay was so scanty that the money required for such fancy accoutrements was rarely available. Nevertheless, some Rangers did wear badges, and the first of these appeared around 1875. They were locally made and varied considerably from one to another, but they invariably represented a star cut from a Mexican silver coin (usually a five-pesos coin). 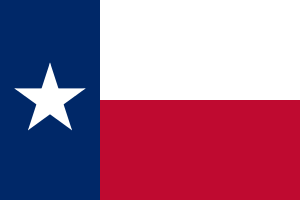 The design is reminiscent of Texas's Lone Star flag. Although present-day Rangers wear the familiar "star in a wheel" badge, it was adopted officially only recently. The current design of the Rangers' badge was incorporated in 1962, when Ranger Hardy L. Purvis and his mother donated enough Mexican five-pesos coins to the DPS to provide badges for all 62 Rangers who were working at that time as commissioned officers. Since the establishment of the Texas Department of Public Safety Texas Rangers Division, 108 Rangers have died in the line of duty. The following list also contains officers from the Texas Rangers, which was merged into the Texas Department of Public Safety. Numerous films and television series focus closely or loosely on the Texas Rangers. In addition, the Texas Rangers baseball team, when it relocated to the Dallas-Fort Worth Metroplex in 1972, took its name from the legendary force. The 1957-1959 CBS western series, Trackdown, starring Robert Culp as the fictional Ranger Hoby Gilman, even carried the official endorsement of the Rangers and the State of Texas. Trackdown episodes were set in both fictional and real locations in Texas though the series itself was filmed at the former Iverson Movie Ranch in Chatsworth, California. Episodes focus on Gilman tracking down bank robbers, horse thieves, swindlers, and murderers. John Horton Slaughter, a former Texas Ranger who later became a rancher in and the sheriff of Cochise County in southeastern Arizona, was the focus of the 1958-1961 Walt Disney miniseries Texas John Slaughter. The Lone Ranger, which aired from 1949 to 1957 on ABC and was that network's first hit series, is a tale of the Rangers too, starring Clayton Moore and for two seasons John Hart. Rango (1967). Short-lived comedy series starring Tim Conway as the eponymous Rango, a bumbling Texas Ranger in the 19th century. Rango got the job only because his uncle is a high-ranking officer in the organization. Walter Hill's movie Extreme Prejudice (1987), starring Nick Nolte, Powers Boothe, Michael Ironside and María Conchita Alonso, focuses on the fight between a ranger and his former childhood friend, turned drug lord. The television series Walker, Texas Ranger (1993-2001) followed the fictional Rangers Cordell Walker and James Trivette, played by Chuck Norris and Clarence Gilyard, Jr.. In the series, Walker and Trivette are assigned to B Company, stationed first in Fort Worth, and later in Dallas. The animated television series King of the Hill (1997-2010) featured Jeff Boomhauer, whose profession was a long running secret (much like the state that houses Springfield, of the Simpsons' residence in The Simpsons). In the final episode of King of the Hill that aired September 13, 2009, it was revealed that Jeff Boomhauer was indeed a Texas Ranger when his wallet revealed his badge and information. The film Man of the House (2005), starring Tommy Lee Jones as a Texas Ranger. The novel True Grit and the 1969 and 2010 films based on the novel include a Texas Ranger as a prominent member of the story. In the television series "From Dusk 'til Dawn" (2014) includes Texas Rangers as the primary antagonists hunting the main characters and also discusses some of the history of racial tension along the Texas-Mexico Border and the suffering of the Mexican and Mexican American peoples of that area at the hands of "Los Rinches" or the Texas Rangers. In the post-apocalypse television series Revolution (2012-2014), when Texas is once again an independent nation, the Texas Rangers appear in the second season and serve as the main military of Texas. The Texas Rangers have received widespread coverage for their role in the investigation of the death of Irene Garza. In this 1960 murder of a Texas beauty queen, there has been one primary suspect, Father John Feit, but the case stalled for many years as the Hidalgo County district attorney did not feel that the evidence was sufficient to secure a conviction. Texas Ranger Rudy Jaramillo has been working on the case since 2002. In 2015, under a new district attorney, Feit was indicted for murder. As of 2016, he awaits trial. ↑ "Table 1. Annual Estimates of the Resident Population for the United States, Regions, States, and Puerto Rico: April 1, 2010 to July 1, 2015" (CSV). U.S. Census Bureau. December 23, 2015. Retrieved December 23, 2015. 1 2 " Texas Department of Public Safety - Texas Rangers". Retrieved 2012-04-28. ↑ "TxDPS - Texas Rangers Historical Development". Txdps.state.tx.us. Retrieved 2016-03-15. ↑ James Pinkerton, Houston Chronicle (2009-09-10). "Perry announces 'Ranger Recon' to work border - Houston Chronicle". Chron.com. Retrieved 2016-03-15. ↑ "Texas Ranger Hall of Fame". Texasranger.org. Retrieved 2016-03-15. ↑ Cox, Mike, The Texas Rangers. ↑ Webb, Walter Prescott, The Texas Rangers: A Century of Frontier Defense. ↑ "Private Lewis F. Scheuster, Texas Rangers, Texas". Odmp.org. Retrieved 2016-03-15. ↑ "Mexico, Sep. 20-23, 1846 | Texan Volunteers at Monterrey". The Battle of Monterrey. Retrieved 2016-03-15. ↑ Transactions, Texas Lodge of Research, Captain Peter F. Tumlinson: Texian Ranger and Mason. Doyle, Brett Laird XXXIX (2004–2005) 83–91. ↑ "TUMLINSON, JOHN JACKSON, SR. | The Handbook of Texas Online| Texas State Historical Association (TSHA)". Tshaonline.org. Retrieved 2016-03-15. ↑ Wilkins, Frederick, Defending the Borders: The Texas Rangers, 1848–1861. ↑ Webb, Walter Prescott, The Texas Rangers: A Century of Frontier Justice, University of Texas Press, 1965, second edition, pp. 219-229. ↑ Utley, Robert M., Lone Star Justice: The First Century of the Texas Rangers, Berkley Books, 2003, p. 144. ↑ Parsons, Chuck & Hall Little, Marianne E., Captain L. H. McNelly, Texas Ranger: The Life and Times of a Fighting Man. ↑ Harris 2007, p. 26. 1 2 Harris 2009, p. 213. ↑ "The Bismarck tribune. (Bismarck, N.D.) 1916-current, February 08, 1918, Image 2 « Chronicling America « Library of Congress". Chroniclingamerica.loc.gov. 1918-02-08. Retrieved 2016-03-15. ↑ Harris, Charles H. III & Sadler, Louis R., ibid. ↑ "The division relating to the Texas Rangers may not be abolished". Acts 1987, 70th Leg., ch. 147, Sec. 1, September 1, 1987. ↑ Ford, John Salmon, op. cit. ↑ Wilkins, Frederick, The Legend Begins: The Texas Rangers, 1823–1845. ↑ "Texas Ranger Hall of Fame". Texasranger.org. Retrieved 2009-03-06. ↑ Miletich, Leo N. Dan Stuart's Fistic Carnival (College Station: Texas A&M, 1994), pp. 147–58. ↑ Robinson, Charles, op. cit. ↑ "Texas Ranger of 1960". Love Field Art Program, Office of Public Affairs. Waldine Amanda Tauch (sculptor). Love Field Main Lobby. Retrieved 28 December 2014. ↑ John Wesley Hardin from the Handbook of Texas Online. Retrieved October 12, 2005. 1 2 Harris 2004, p. 26. ↑ Harris 2009, p. 1. ↑ Harris 2009, p. 15. ↑ Daily Mail 1909, p. 7. ↑ Harris 2009, p. 16. ↑ Hammond 1935, pp. 565-66. ↑ "PLAN OF SAN DIEGO | The Handbook of Texas Online| Texas State Historical Association (TSHA)". Tshaonline.org. Retrieved 2016-03-15. ↑ "Ralph Wranker". Taliesyn.com. Retrieved 2016-03-15. ↑ "Texas Department of Public Safety - Texas Ranger Duties". Txdps.state.tx.us. Archived from the original on March 4, 2009. Retrieved 2009-03-06. ↑ "Texas Department of Public Safety - Texas Rangers Personnel". Txdps.state.tx.us. Archived from the original on January 27, 2010. Retrieved 2010-08-31. ↑ "Texas Ranger Hall of Fame & Museum -Texas Rangers Today". Texasranger.org. Retrieved 2016-03-15. ↑ Circelli, Jerry, op. cit. ↑ "The Texas Ranger Costume". Curtrich.com. Retrieved 2016-03-15. ↑ "Texas Department of Public Safety - Texas Rangers, Texas, Fallen Officers". Odmp.org. Retrieved 2016-03-15. ↑ "Texas Rangers, Texas, Fallen Officers". Odmp.org. Retrieved 2016-03-15. ↑ "Tales of the Texas Rangers". Internet Movie Database. Retrieved August 9, 2014. ↑ Colloff, Pamela (January 20, 2013). "Unholy act". Texas Monthly. Retrieved October 21, 2016. ↑ Hernandez, Kristian; Zazueta-Castro, Lorenzo (February 13, 2016). "Irene Garza's family feels weight has been lifted as former priest faces murder charge". The Monitor. Retrieved October 21, 2016. Doyle, Brett Laird Transactions, Texas Lodge of Research, Captain Peter F. Tumlinson: Texian Ranger and Mason. Doyle, Brett Laird XXXIX (2004–2005) 113–124 Published by the Texas Lodge of Research A. F. & A. M. 2006.